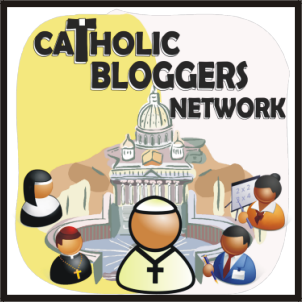 After posting about what to do when we feel unworthy about following our call, I came across the story of Sr. Marlyn Evangelina Monge, another Daughter of Saint Paul. Like me, she wondered if she was “worthy” to become a sister. I hope you enjoy it. On her blog, Pursued by Truth, Sr. Theresa Aletheia highlights Sr. Alicia, who won on the show Chopped this week! Find out more about this wonderful sister, her community, the Franciscans of the Eucharist, and the good work that they do in Chicago. Soon, you will also find on this same blogpost a link to the Chopped! show in which Sr. Alicia won the cooking competition! Although it’s probably hard to tell, I’ve reached the end of another chapter. This chapter was about “Helps and Obstacles Along the Way of Discernment.” Before I move on to specific moments of discernment (turning points in our lives), are there any other obstacles or helps to discernment that you’d like to see discussed here? Feel free to send me an email or post a comment. I have only one more pending question to answer: the request for recommendations for books about discernment, since the favorite that I’d recommended has gone out of print. This answer is taking longer because I’m working on several book reviews, which hopefully I can post soon. So, if you’ve sent me a question and I haven’t it answered it yet, I apologize because I’ve lost it! Please feel free to send it again. I recently reorganized my email, so hopefully I won’t lose any more questions or comments in the future!